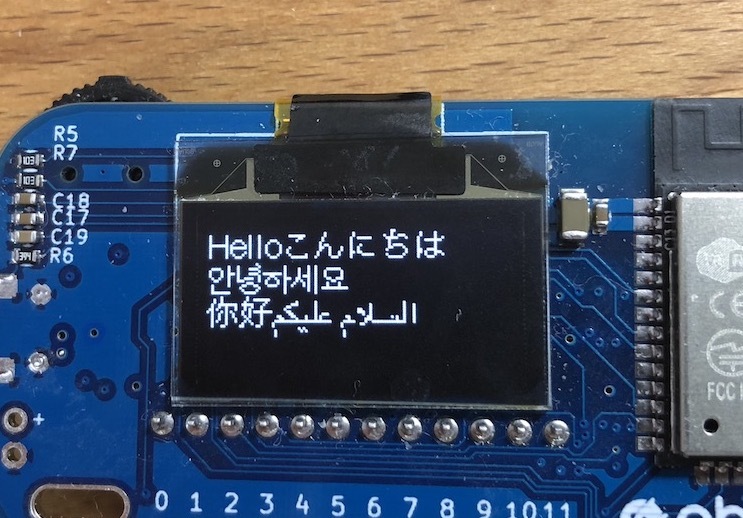 Here we will show letters and pictures on OLED display on obniz. 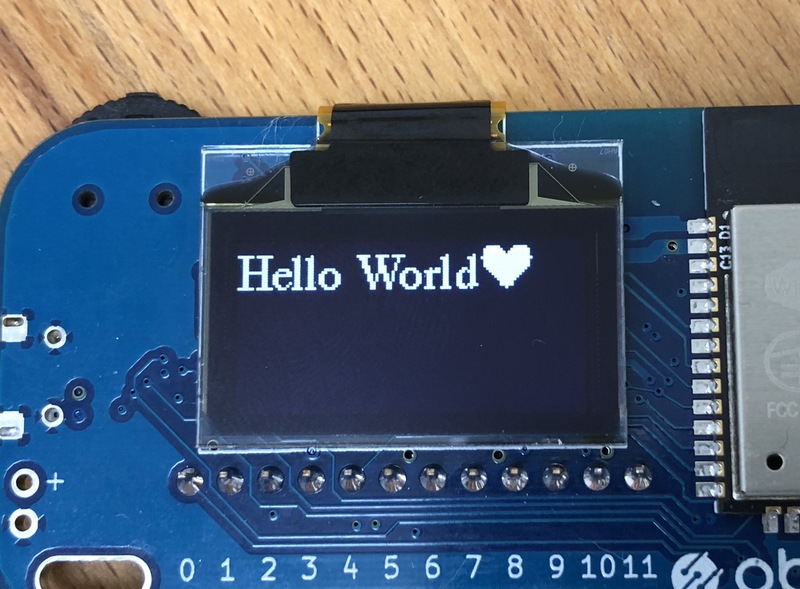 It changes the display position of a text. If you are using print() to display a text, position it to top left. The options for fontFamily and fontSize depend on your browser. The default font is Arial 16px. If you set the parameter to null, you will be using the default font. Now we draw a line between two points. Use false to stop updating OLED and true to restart updating. This shows QR code with given text and correction level. H is the strongest error correction. 1 bit represents 1 dot. 1=white, 0=black. 1 byte is part of one line. The order is as below. 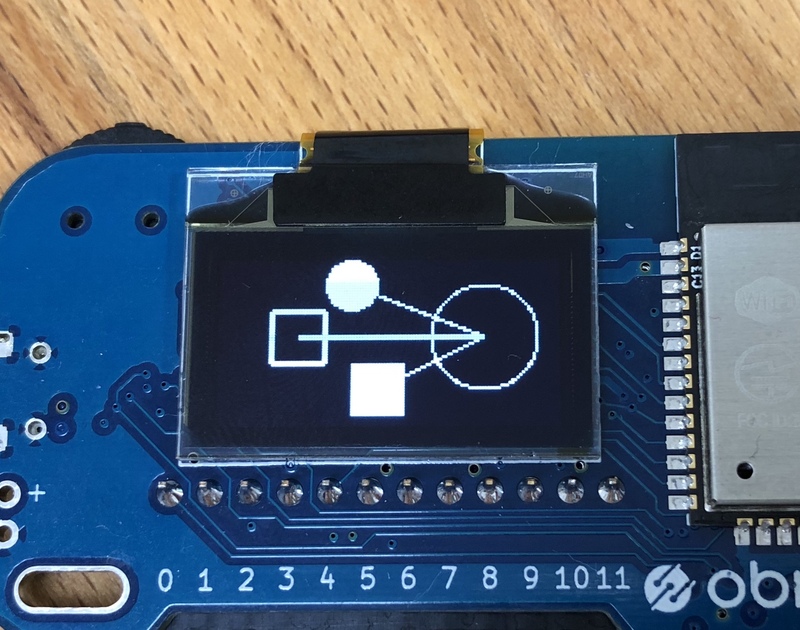 draw OLED from HTML5 Canvas context. With node-canvas, this works with node.js. // 2. create new canvas dom and load it.